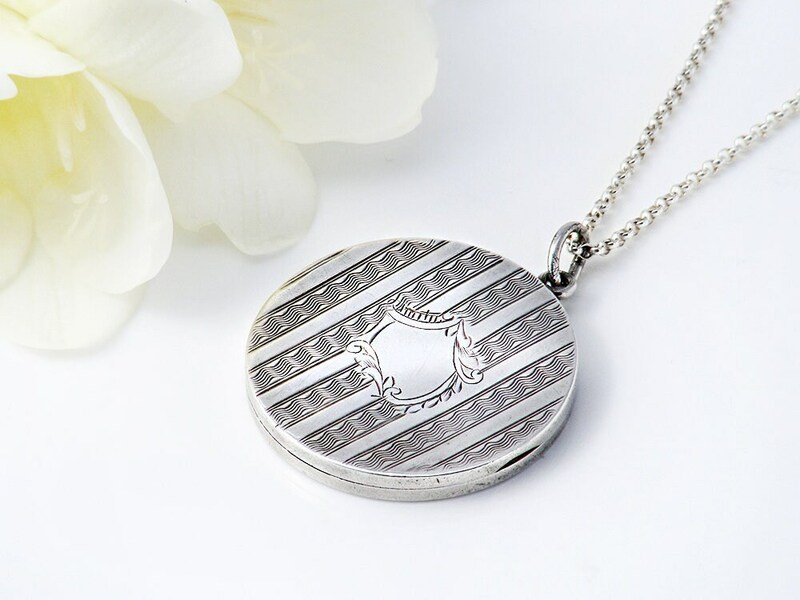 A simple and very elegant locket from the early 1900s, nicely embellished with a pattern of fine machined stripes surrounding a swagged cartouche. 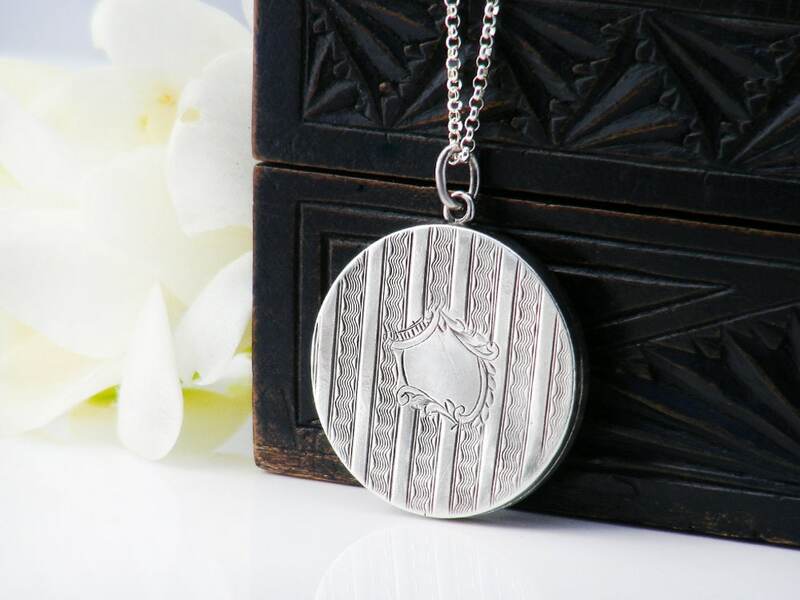 The contrast between polished and striped silver gives lovely shimmer with change of light. 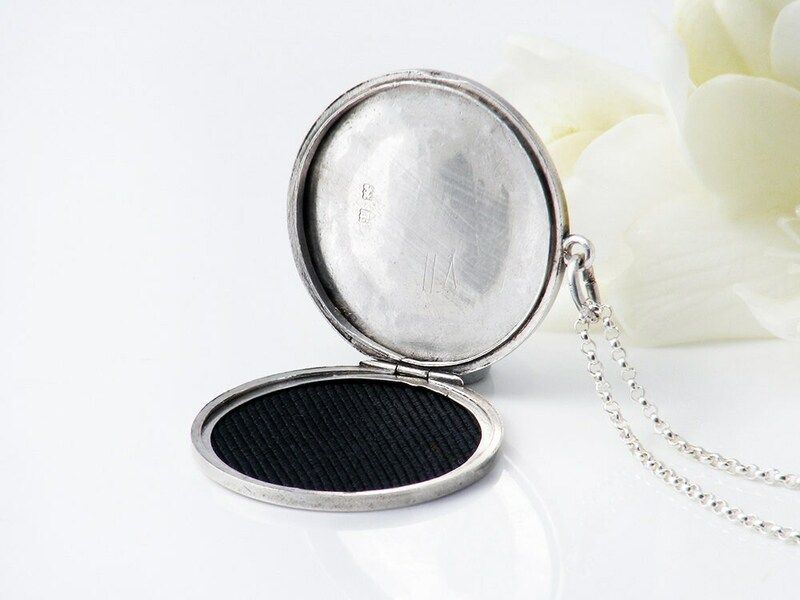 The locket is of sterling silver with full hallmarks for Birmingham, England and the year 1910. Hinged at the side and opening towards the plain polished back, both flat sided covers are hallmarked. There is a single photo positions inside with new black grosgrain fabric liner. A single photo retaining rim; the back cover fits and holds perfectly without a rim. 1.1 inch or 28mm in diameter, with a slim profile gently curving out to approximately 3mm in thickness. Age: 1910 - 108 years of age. 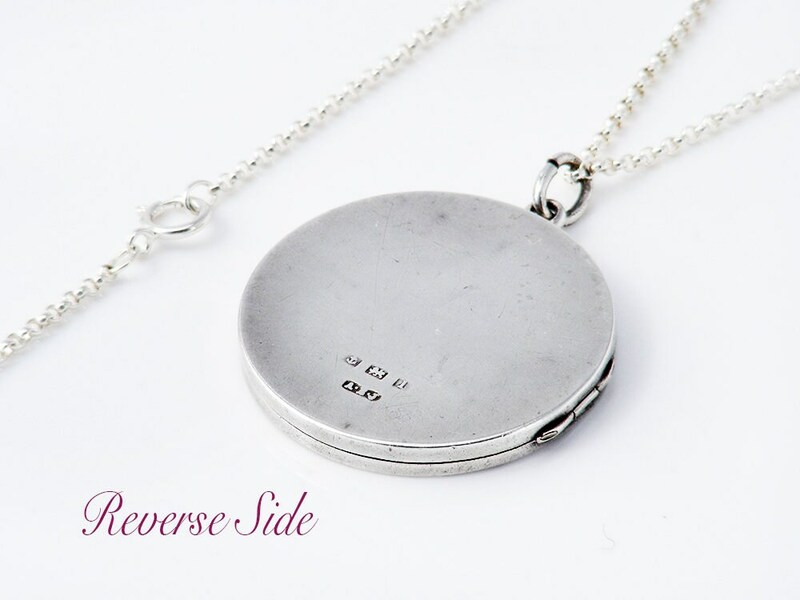 Weight: 4.8 grams (locket only) a light and easy to wear locket. Presented on a new sterling silver rolo chain 20 inches or 51cm long, stamped to the clasp for Sterling Silver. Shown on a life size torso in photograph #2. Condition: Very, very good. Fine surface wear and faint ripples to the back, no nasty scratches or dents. The integral hinge is excellent, the locket closes securely with a nice snap and stays shut. 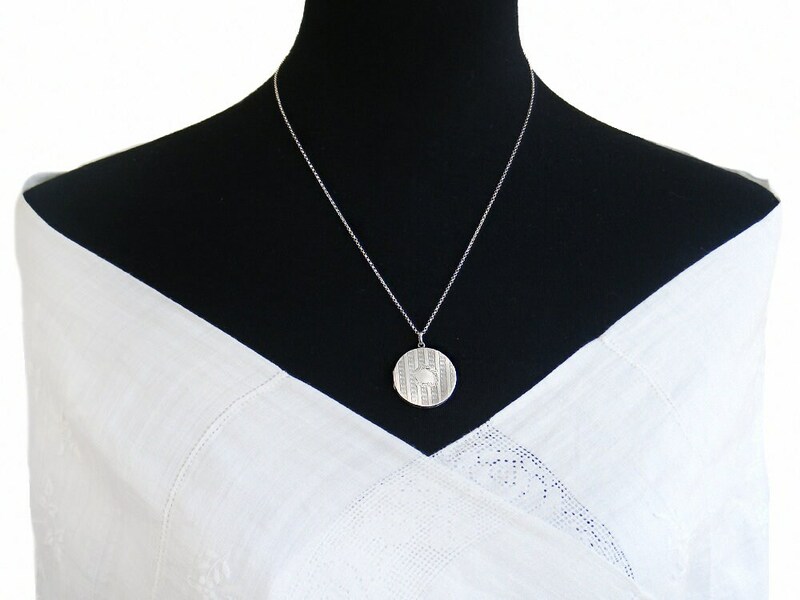 Understated and elegant in the Edwardian style, a lovely locket.